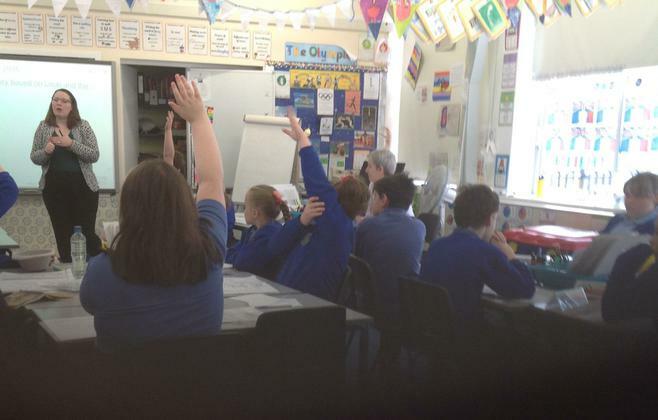 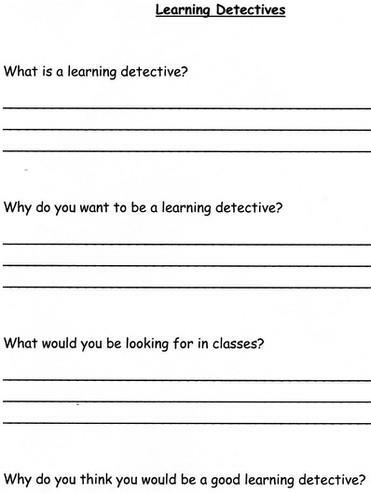 The learning detectives at Camp Hill Primary have only been in place since January 2014. 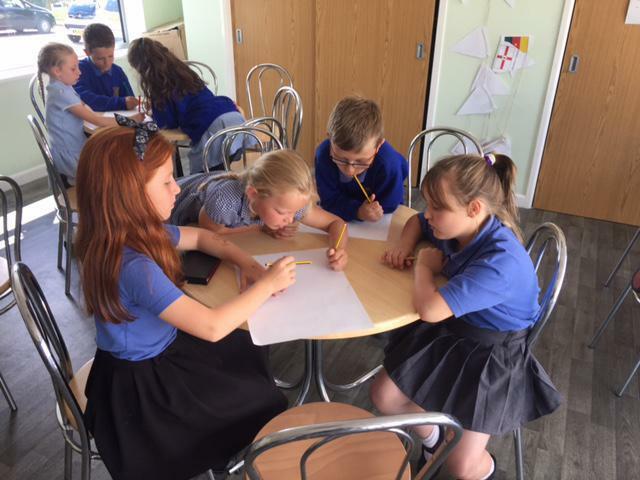 They are a new group of children, one from each year group that meet once every half term and go into classes and look for learning. 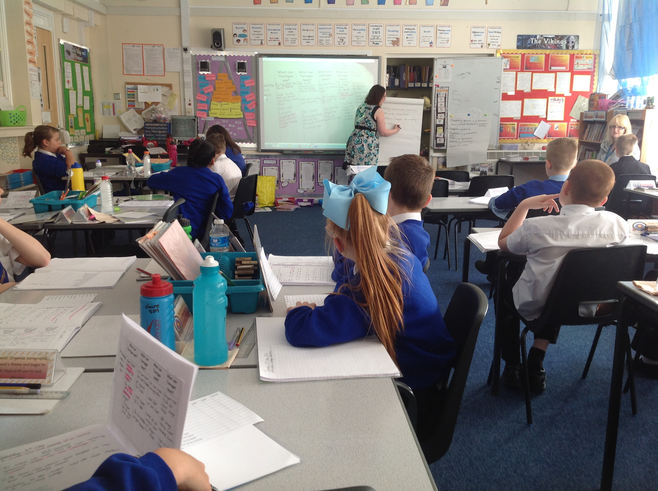 Mrs Barrass was extremely keen for Camp Hill Primary School to have a group of learning detectives, as she had seen how well it had worked at other schools. 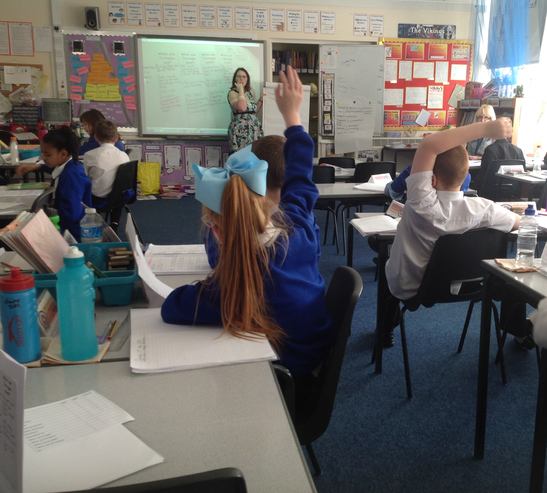 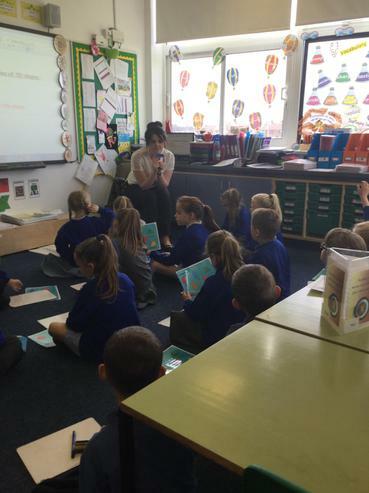 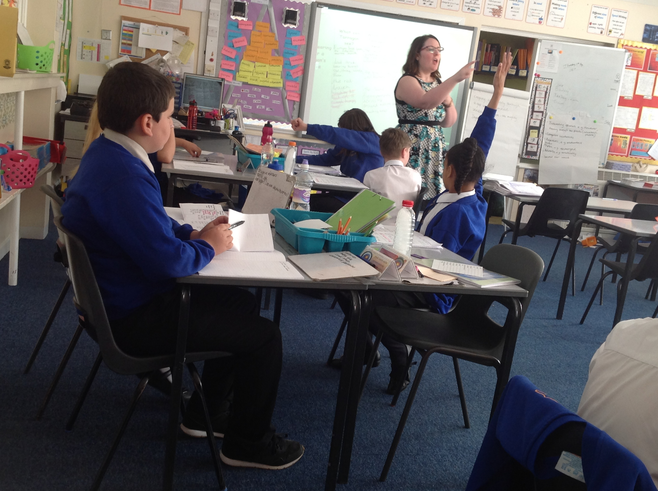 Miss Whittingham introduced what learning detectives are to the whole school, letting them know what learning detectives are and what they do. 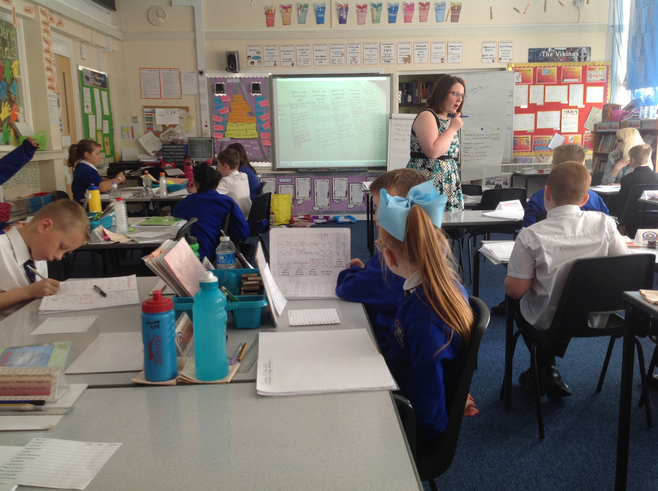 The children then decided if they thought they would like the role of a learning detective and if so they completed an application form to Miss Whittingham. 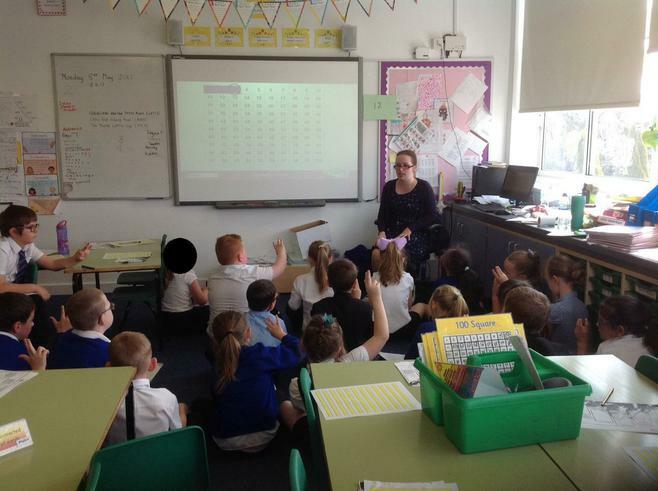 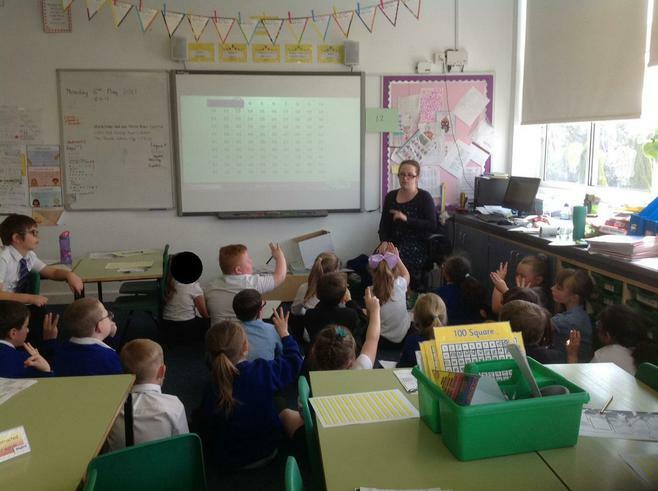 Miss Whittingham then chose 1 child from each class (or 2 if the choice was too tricky!) 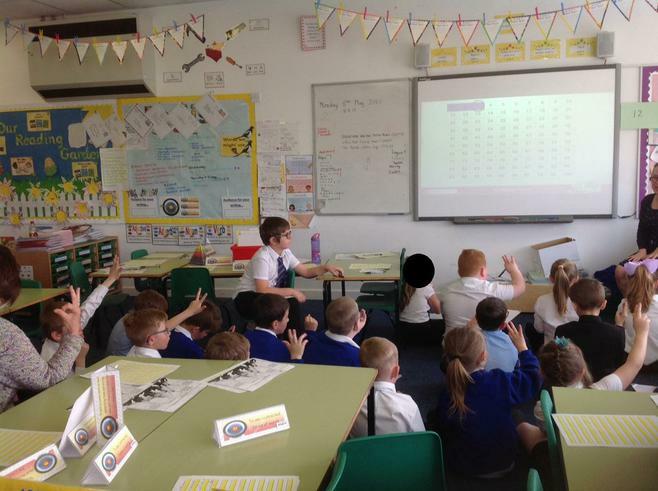 and introduced them to the whole school. 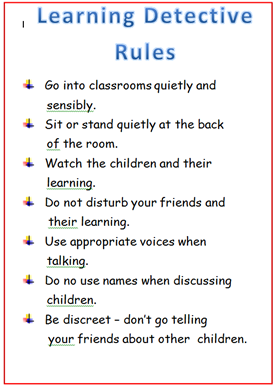 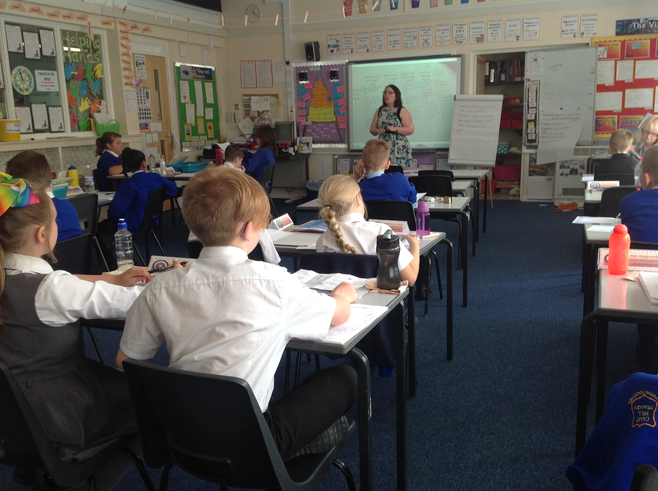 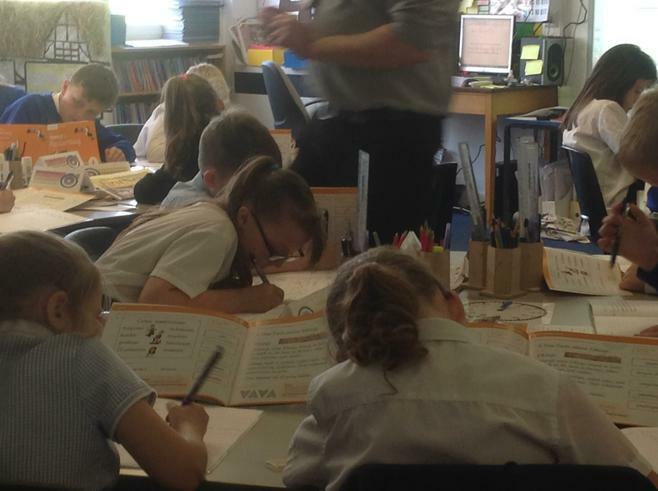 The children then go into classrooms, following their rules and using the form to look for learning. 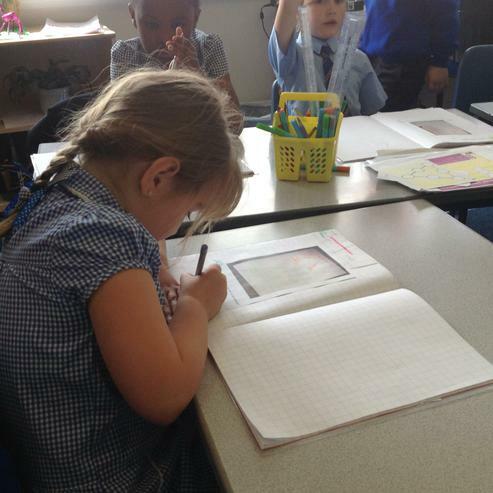 The children take photos of the good learning that they see. 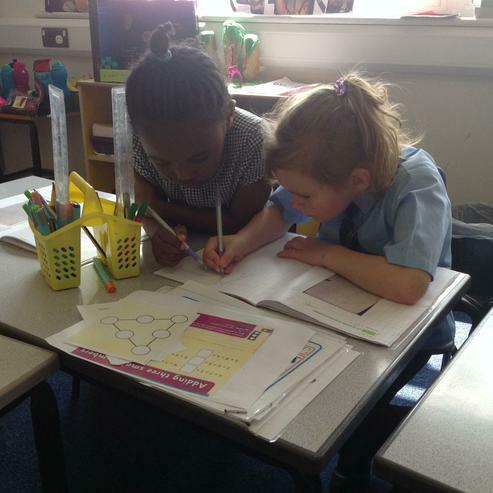 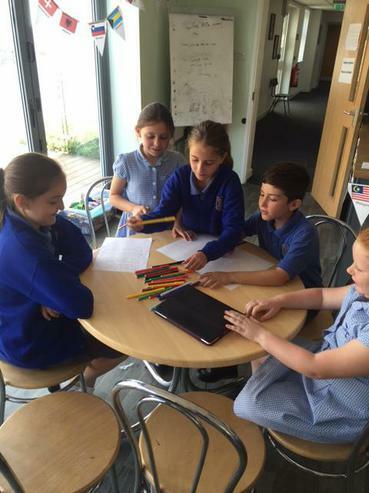 They then come back together and discuss the good learning points they saw and the things that could be made better. 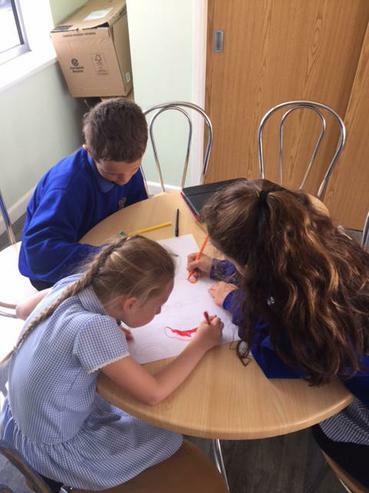 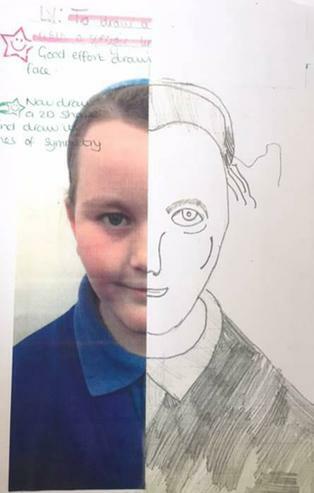 They create a poster to show the good points and points for improvement and use these pictures on there. 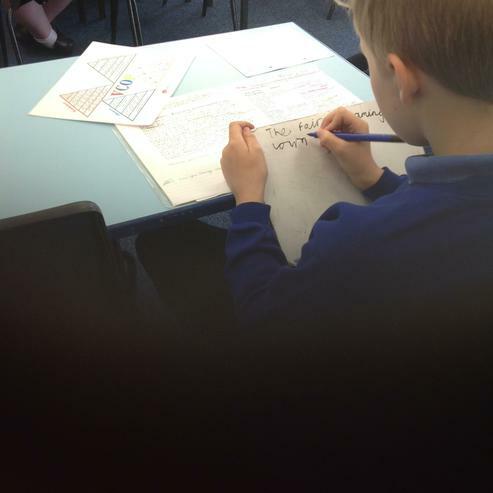 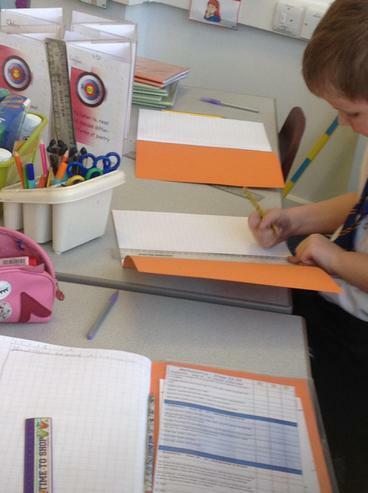 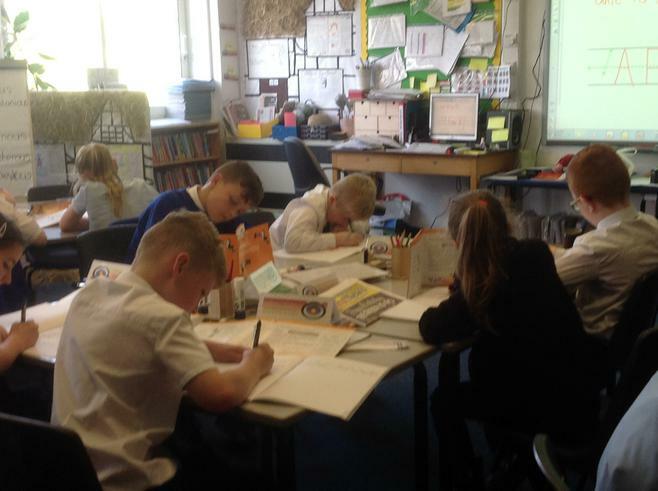 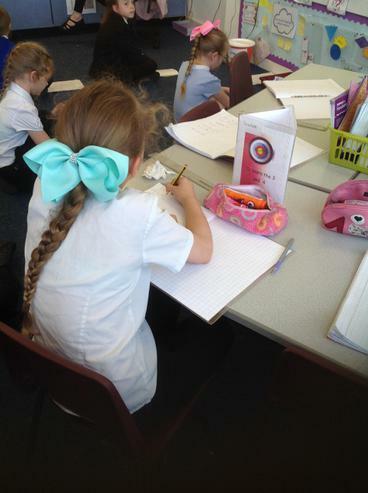 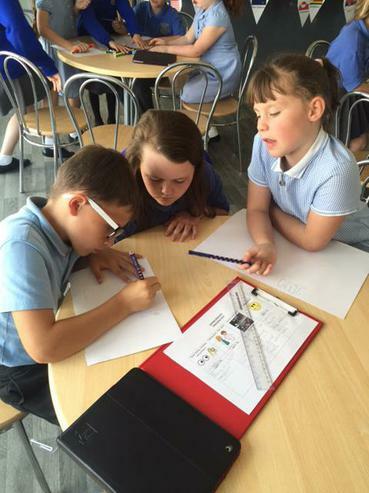 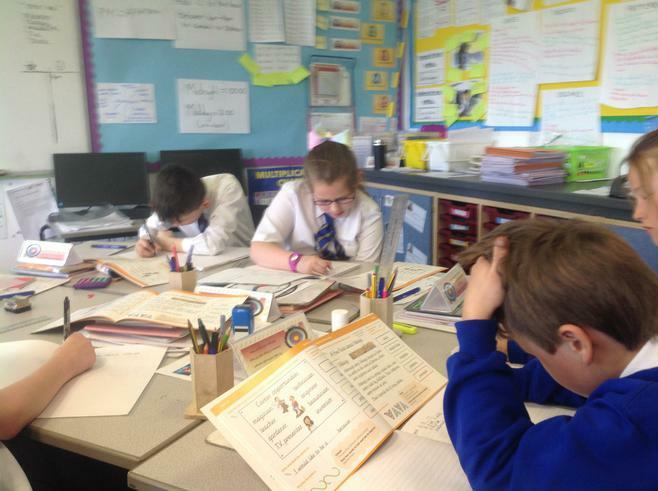 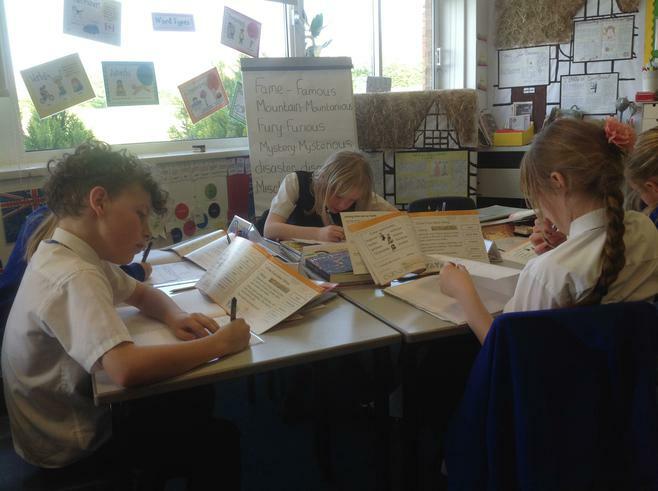 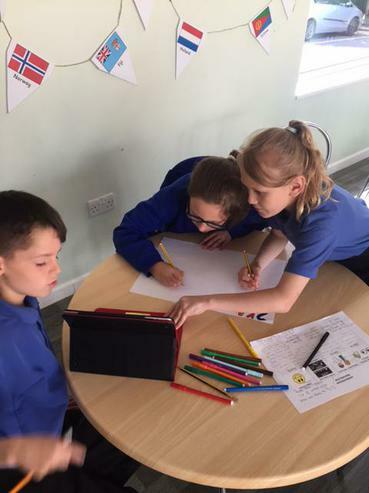 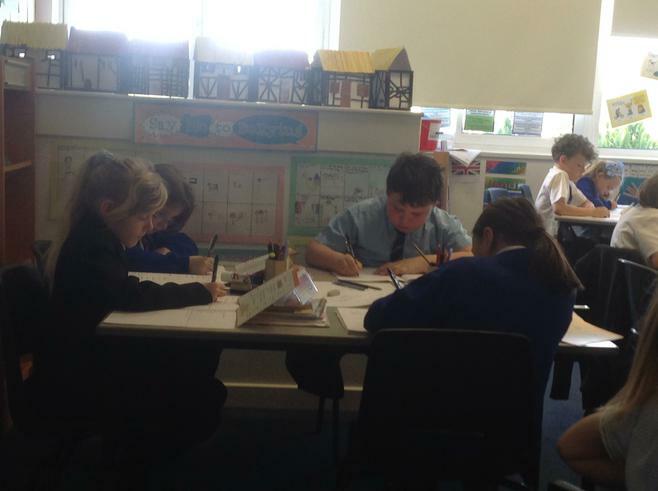 The Learning Detectives then work really hard to make posters and write a script ready to present to the classes. 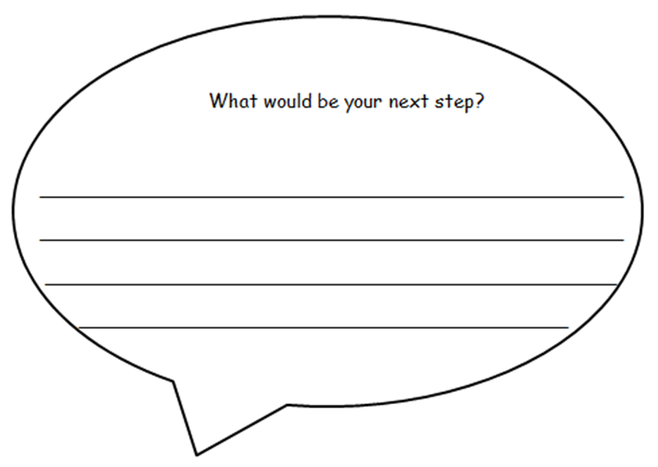 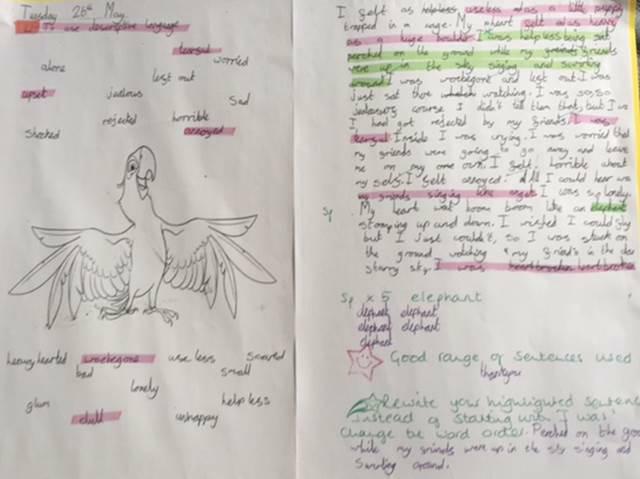 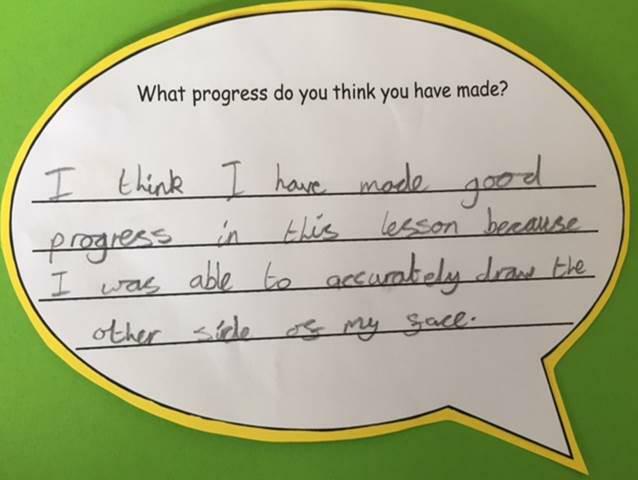 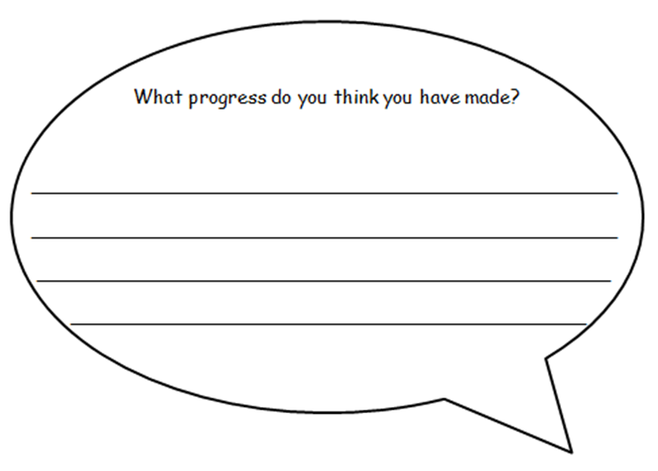 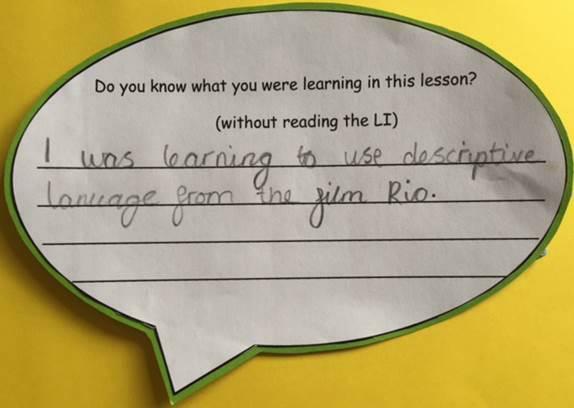 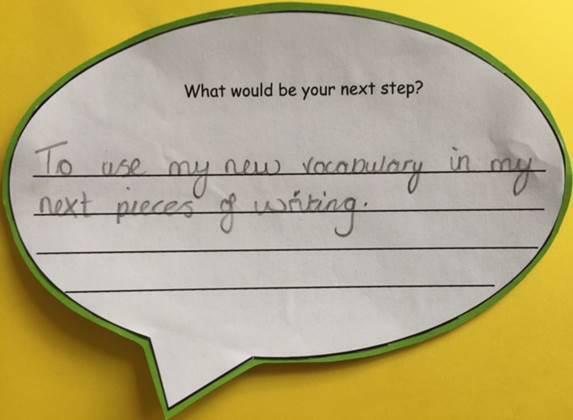 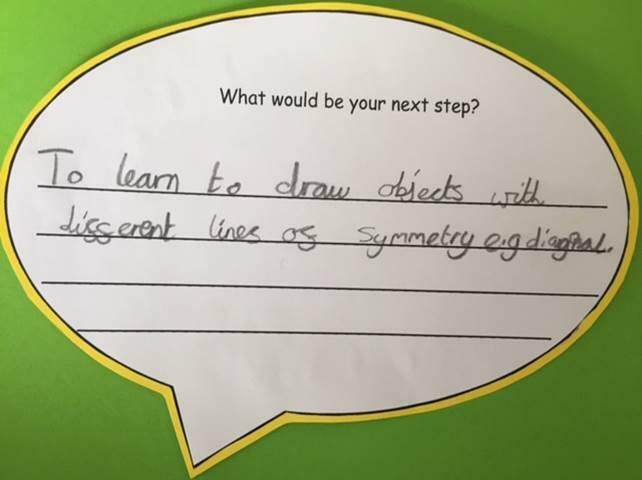 As part of our whole school development, we are trying to support children to be able to talk about their learning, progress and next steps in lessons. 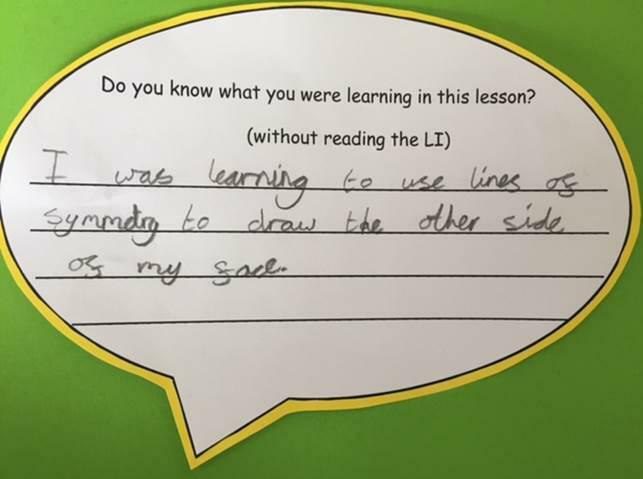 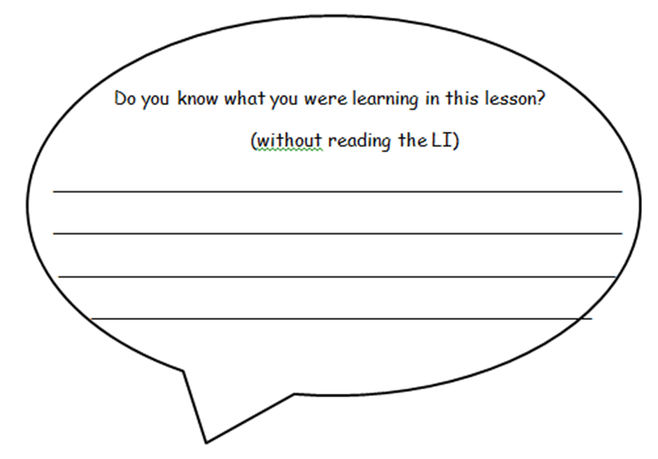 This is something we thought the Learning Detectives would be able to help us with. 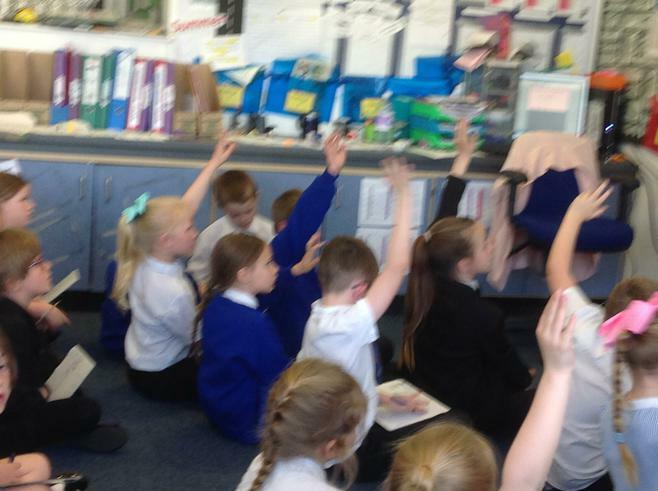 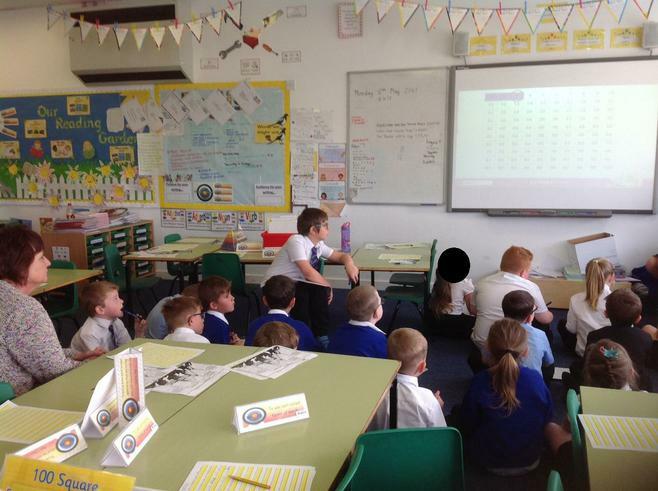 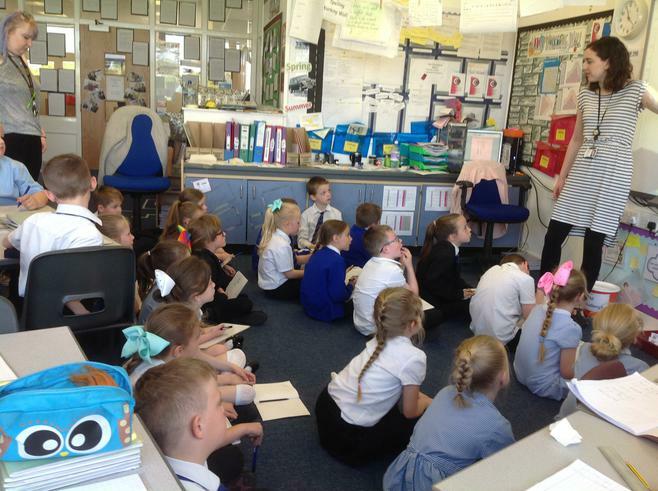 As part of their day they speak to different groups of children about their learning. 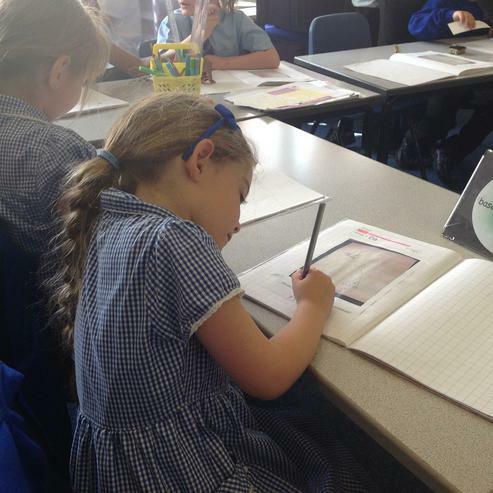 They look with the child at their last 3 pieces of work and ask them key questions about their learning. 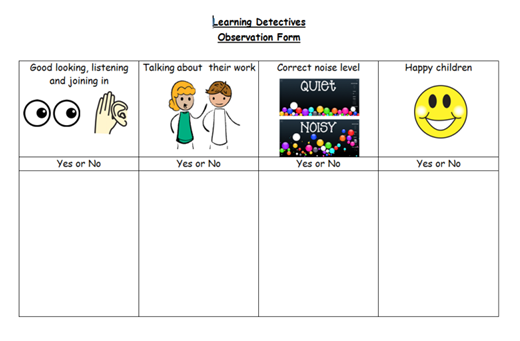 This is something that we have only recently started and both the Learning Detectives and other children still need some support with. 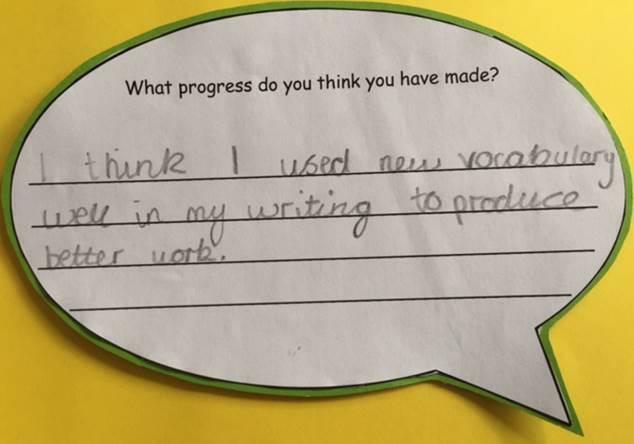 We will be continuing this next year. 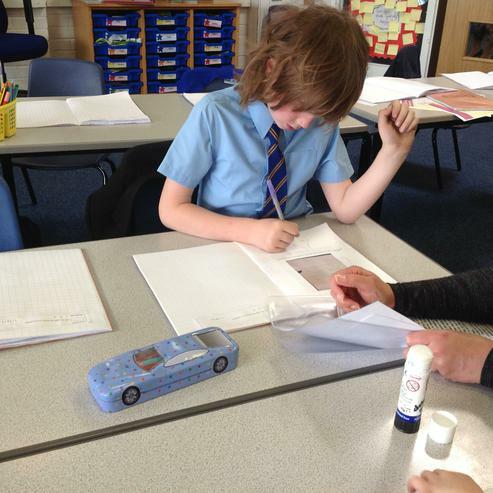 To see more of our work, come and see our displays in school.